Tour the historic Keillor House Museum in a different way. This “spooky” adventure is guaranteed to provide a few laughs and always a few screams. It gets bigger and better every year. 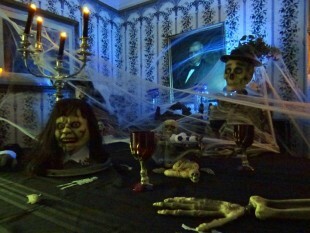 Real ghouls and goblins will provide delights and frights throughout all three floors of the house. Just try to find your way out of the dungeon. Don’t miss the best haunted house around! Parental discretion is advised.